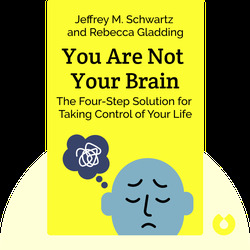 You Are Not Your Brain explores our deceptive brain messages which program us to have harmful thoughts such as “I’m not good enough.” And it tells us how we can change this detrimental wiring by challenging these brain messages and focusing our attention elsewhere. In doing so, we can rewire our brain to make it work for us, not against us. Jeffrey M. Schwartz is a medical doctor and research psychiatrist at the UCLA School of Medicine. His research focuses on the field of self-directed neuroplasticity and its application to obsessive-compulsive disorder. 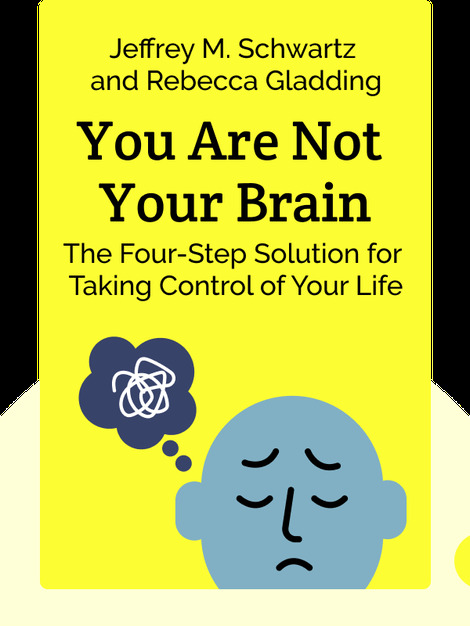 Rebecca Gladding is a medical doctor and was a clinical instructor and attending psychiatrist at UCLA. Her expertise lies in mindfulness, anxiety and depression.